The poor cables scarf had to be put on hold for the January Loom-a-Long with Isela…Plushy House Socks! Yes, I finally got my invitation to join Ravelry…it actually wasn’t that long of a wait…about a couple of weeks. Not bad with how many they have clammering to join in on the fun! It’s so huge there! I couldn’t believe my eyes…it’s like a yarn internet inside the internet. So…I am making progress on my sockies…this one is ready for the toe, then to make the mate…my feet will be so comfy cozy! I didn’t find the Berroco Plush yarn that this pattern called for, so I found another chunky, fleecy substitute…this yarn is called Poker by Skacel. It’s an Italian blend of tactel, new wool, acrylic, and nylon. Feels very nice! When I finish with these, I will put that Cables Scarf right back on my little blue loom and finish it, for goodness sake~! This entry was posted in Goals, Knitting, Loom Knitting, Looming Patterns, New Projects, Ravelry. Bookmark the permalink. 2 Responses to Ooops!…I did it again. Wow…I really want to learn to make socks on my loom…did you get that pattern from Isela’s book? SIGH…I wish I’d get my Ravelry invite! Those sock look so warm and cozy. My feet have felt like iceblocks in this bitter MN weather! 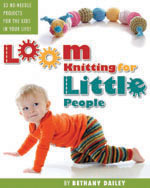 SIGH…I sure wish I’d get my Learn to Knit Cables on Looms book too! I have all sorts of plans for cables (hee, hee). I added a pic of the loomed half finger gloves using your suggestion to knit with elastic sewing thread. Check it out! I didn’t flat knit though, that got way too tight. Not nearly as nice as the EFG version, but still good.